UAE is one of the key growing countries in the Middle East region after Saudi Arabia. The growing construction market, expansion of public infrastructures and World Expo 2020 are primarily spurring the market for elevator and escalator in UAE. According to 6Wresearch, UAE Elevator and Escalator Market is projected to grow at a CAGR of 6.0% during 2015-21. In UAE's Elevator & Escalator market, elevator market accounts for the majority of the revenue share and is most likely to lead in the forecast period as well. Maintenance and new installation segments are the major revenue generating segments, where maintenance segment has captured significant share of the market pie. Some of the key players in UAE's elevator and escalator market include ThysseKrupp, Otis, Schindler and Kone. Table 19 List of Products of Kleeman Hellas S.A.
UAE is one of the key growing elevator and escalator markets amongst all GCC countries. Though, market witnessed sluggish demand in-terms of new installations in last few years, but market is anticipated to attain growth over the next six years owing to World Expo 2020. In the country, the market is primarily driven by elevator followed by escalator. However, during the forecast period, elevator segment is expected to lose a marginal market share to the escalator due to the growing installations of the escalators in retail and transportation sectors. The key players in the market include: Otis Elevator, Kone, ThyssenKrupp, Mitsubishi, Schindler, Hyundai, Toshiba, and Kleemann. 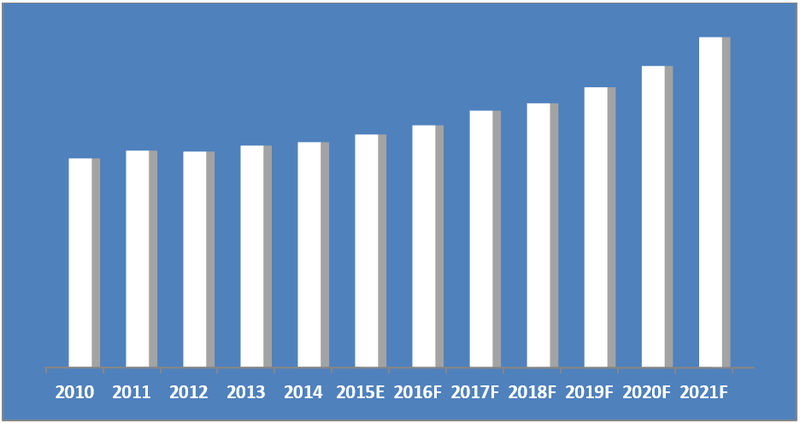 “UAE Elevators and Escalators Market (2015-2021)”report estimates and forecast overall UAE elevators and escalators market by revenue, by elevator and escalator types such as geared and gear less with machine room elevators, hydraulic elevators, machine room less elevators, moving stairs escalators and moving walkways escalators, applications, and regions. The report also gives the insights on competitive landscape, market share by companies, market trends, company profiles, market drivers and restraints.